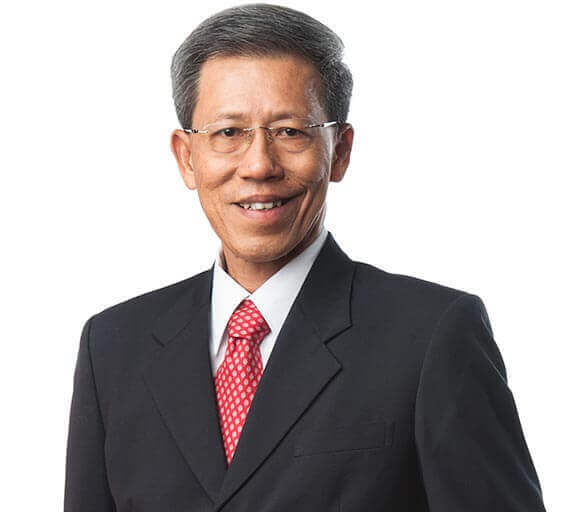 Mr LIEW Mun Leong joined the Group in 2015 as Chairman of the Company. 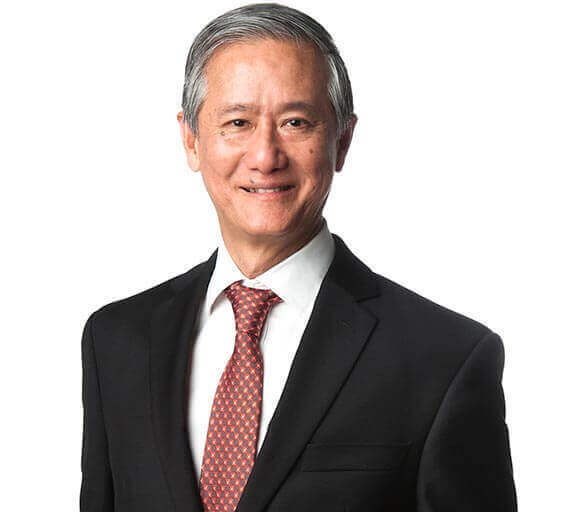 Mr Liew is the Chairman of Changi Airport Group, Temasek Foundation Nurtures CLG, China Club Investment and the Management Advisory Board of National University of Singapore (“NUS”) Business School. He also sits on the boards of Singapore Exchange, Chinese Development Assistance Council and the Singapore China Foundation. Mr Liew is a Senior International Business Advisor appointed by Temasek to advise the Temasek group on long term real estate investments in New York, London and Tokyo. In 2013, Mr Liew was appointed as Pro Bono Provost's Chair Professor (Practice) in NUS Business School and NUS Faculty of Engineering. In 2017, he was appointed as Pro Bono Provost’s Chair Professor (Practice) in the Lee Kuan Yew School of Public Policy. Mr Liew has spent 22 years in the public service developing Singapore’s Changi Airport, military airports and establishments. He was involved with the construction of Changi Airport from the beginning in 1975. He was also concurrently the Chief Executive Officer (“CEO”) of two government statutory bodies, the Singapore Institute of Standards and Industrial Research and the National Science and Technology Board, the forerunner of A*STAR. He was the Registrar of the Professional Engineers Board, granting engineers’ licenses to practise in Singapore and regulating engineering practices in Singapore. He was appointed as the President of International Organisation for Standardisation (ISO) in the late 1990s. In the private sector, he has another 24 years of experience leading 10 public listed companies investing and developing real estates in Asia, Middle East, UK and Europe. In 2000, he was the founding Group President & CEO of CapitaLand Limited, a public listed real estate company, which under his watch till 2012, has become one of the largest real estate group in Asia. For his exceptional contributions to Singapore, Mr Liew was awarded the Meritorious Service Medal by the President of Singapore in 2011. In 2016, Mr Liew was conferred France’s National Order of the Legion of Honour (Ordre national de la Légion d'honneur), with the rank of Knight. Mr FONG Heng Boo joined the Group in 2015. He is also an independent director of several public listed and private limited companies. An accountant by profession, Mr Fong started his career with the Auditor-General’s Office and left in 1993 as Assistant Auditor-General. He was also General Manager (Corporate Development) of a listed company in Singapore as well as the Chief Financial Officer of a listed company in Australia. He was Director (Special Duties) at the Singapore Totalisator Board until his retirement in December 2014. 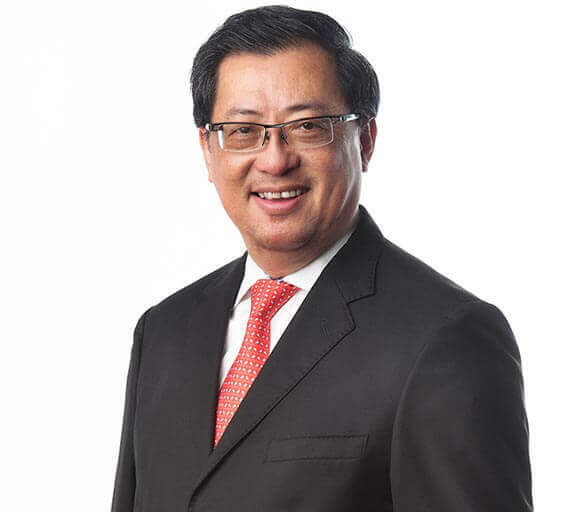 His other professional experience included membership of Audit Committees of statutory boards and Advisory Committees of the School of Accountancy of Nanyang Technological University and Ngee Ann Polytechnic. Mr Fong was a past Fellow Member of the Institute of Certified Public Accountants of Singapore (“ICPAS”). He was a council member of ICPAS and was awarded a Silver Medal by ICPAS in 1999. 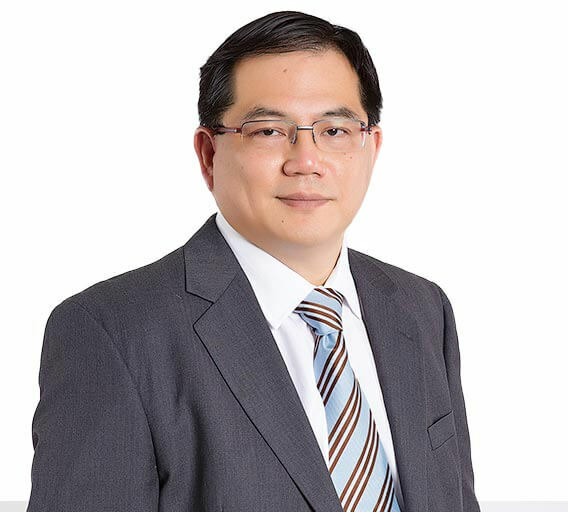 Mr WONG Heang Fine joined Surbana Jurong in 2015 and is Group CEO of the Company. He is a Board Director of SMEC and AETOS and Chairman of Sino-Sun. He is also a Board Member of the Building and Construction Authority, an agency under Singapore’s Ministry of National Development that regulates Singapore’s building and construction industry. Mr Wong is an Adjunct Professor in the School of Mechanical & Aerospace Engineering at Singapore’s Nanyang Technological University. 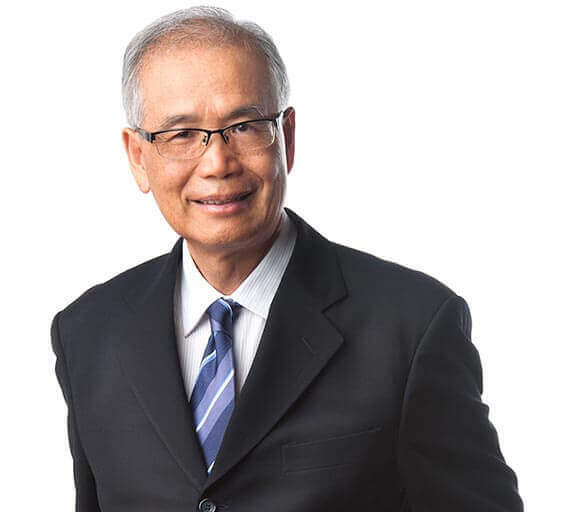 Mr Wong held many key leadership positions across a number of industries over the last 35 years. Most recently, he was the CEO of CapitaLand Residential Singapore Limited and CapitaLand GCC Holdings, and also the Country CEO in charge of developing CapitaLand’s business in the Gulf Cooperation Council region. Mr Wong was also CEO of Capitala, a joint venture company between CapitaLand Singapore and Mubadala Development Company in United Arab Emirates. Mr Wong joined Cathay Organisation Pte Ltd in 1998 as its Deputy President. He helped realise the company’s ambition of going public via a reverse takeover strategy through IMM Multi-Enterprise which was listed on SESDAQ. A year later, he was appointed President & CEO of Cathay Organisation Holdings. From 1996 to 1998, Mr Wong was Director (Infrastructure), L&M Group Investments Ltd. During his tenure, he restructured the company by spearheading diversification into the infrastructure and property sectors. Between 1991 and 1996, while in Singapore Technologies Industrial Corporation, Mr Wong pioneered the infrastructure development of the industrial estate and a 24,000-hectare international resort belt on Bintan Island, Indonesia. He was also instrumental in developing and managing the Bintan Lagoon Resort. Mr Wong was the President of the Real Estate Developers’ Association of Singapore from 2011 to 2012. He also served as a Senior Industry Officer with the Economic Development Board where his responsibilities included the promotion and development of investments into Singapore. He graduated with a First Class Honours in B.Sc (Mechanical Engineering) from the University of Leeds, England and a M.Sc (Engineering Production and Management) from the University of Birmingham, England. Mr Eric ANG joined the Group in 2015. He is currently Senior Executive Advisor at DBS Bank Ltd., where he has been since the start of his banking career in 1978. He sits on the Board of Directors of Sembcorp Marine Ltd, Changi Airport Group (Singapore) Pte Ltd, Raffles Medical Group Ltd and DBS Foundation Ltd in Singapore. He is also the Co-Chairman of the SGX Disciplinary Committee and one of the Vice-Chairmen of the Community Chest in Singapore. Mr Ang holds a Bachelor’s degree in Business Administration (Honours) from the University of Singapore. 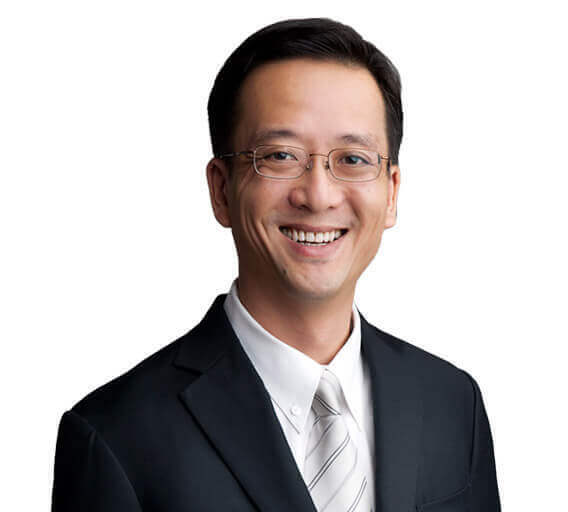 Mr Desmond CHOO joined the Group in 2018 and is presently the Assistant Secretary General at National Trades Union Congress (“NTUC”). He holds two key portfolios as Director of the Youth Development Unit at NTUC, advocating young workers’ issues for Singapore’s largest youth movement and Director at the Industrial Relations Department, driving industry transformation and productivity. He is also the Executive Secretary of the Union of Telecoms Employees of Singapore. Mr Choo is currently an elected Member of Parliament for Tampines Group Representative Constituency and the Adviser to Tampines Changkat Grassroots Organisations. He is also the Mayor of North East District, overseeing social and community development for 18 constituencies. Prior to joining NTUC, Mr Choo served in various roles in the Singapore Police Force (“SPF”), Ministry of Manpower and the private sector. His last position before taking up his NTUC appointment was Senior Vice President, Investments, of Kestrel Capital Pte Ltd. He was instrumental in leading the acquisition of La Liga’s Valencia CF and development of the non-profit Foundation of Valencia CF. He was on the Board of the Foundation of Valencia CF, advising the development of Hotel Football in Manchester, UK. Mr Choo was awarded the SPF Overseas Merit Scholarship in 1997 to read Economics at the University of Chicago. Mr GAN Chee Yen joined the Group in 2015. He is also the CEO of Fullerton Financial Holdings Pte Ltd and is a member of the Institute of Singapore Chartered Accountants. Prior to his current appointment, Mr Gan was Co-Chief Investment Officer, Senior Managing Director, Special Projects and Head of China Market at Temasek International. 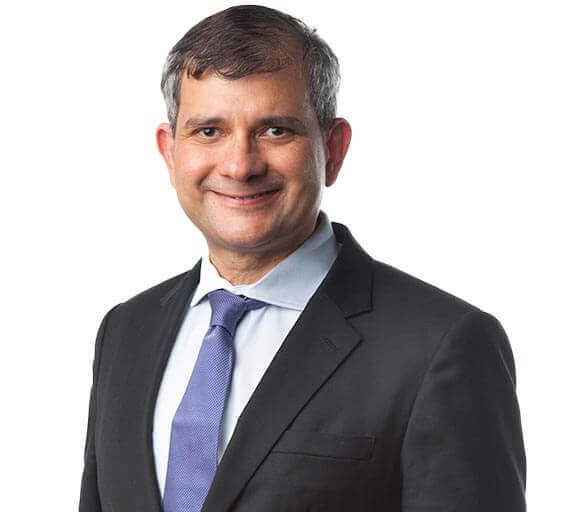 He joined Temasek in May 2003 as Chief Financial Officer and has since served in various investments roles as a member of the senior management team in Temasek. The investment clusters he has led included the Financial Industry portfolio and the Transportation and Logistics portfolio, before he took on the role of co-Chief Investment Officer of Temasek where he anchored several successful investments. Mr Gan has served on the boards of several companies including CEI Limited, ST Asset Management Ltd, Clifford Capital Pte. Ltd, and has been a board member of Fullerton Financial Holdings Pte Ltd and a board commissioner of Bank Danamon since 2003. He received his Bachelor of Accountancy from NUS. He also attended Harvard University’s Program for Management Development in September 2001. Mr Guy HARVEY-SAMUEL joined the SJ board in August 2015 as a non executive director. He spent 39 years working with HSBC Group in 12 countries across the world retiring in 2017. He returned to Singapore in 2013 as Group General Manager and Chief Executive Officer HSBC Singapore, prior to this he was Group General Manager and Head of International Asia Pacific based in HSBC Hong Kong. Prof. Yaacob IBRAHIM joined the Group in 2019 and is presently a Professor of Engineering at the Singapore Institute of Technology (SIT) and an Advisor to the President of SIT. Prior to his current position, Prof. Yaacob served in the Singapore Cabinet as a Minister in the Ministries of Communications and Information (2011 – 2018), Environment and Water Resources (2004 – 2011) and Community Development and Sports (2002 – 2004). Throughout his 16 years as a Minister, Prof. Yaacob was also Minister-in-charge of Muslim Affairs. He started his political career as a Member of Parliament (MP) in Jalan Besar GRC in January 1997, and held several political appointments before becoming a Minister in 2002. 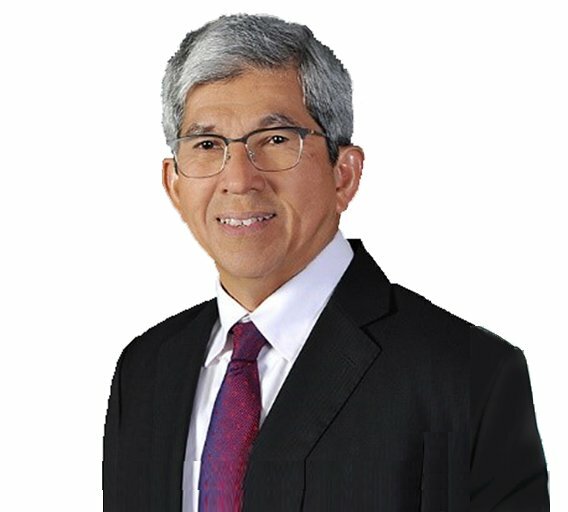 Prof. Yaacob graduated from the University of Singapore with a degree in Civil Engineering in 1980. He worked as a structural engineer with a multinational engineering consulting firm from 1980 to 1984. He pursued his Ph.D at Stanford University from 1984 and graduated in 1989. He spent two years as a post-doctoral fellow at Cornell University. He joined the National University of Singapore (NUS) as a faculty member in 1990 where he became a tenured member. He took a leave of absence from NUS from July 1998 till his resignation in August 2018. He is currently on the Board of Trustees of the Building Construction and Timber Industries Employees’ Union. He is also an Advisor to the Infocomm Media Development Authority’s Kampong Glam Digitalisation Project. He is currently an MP for Jalan Besar GRC. Mr Philip JEYARETNAM joined the Group in 2015 and is the Global Vice Chair & Asean CEO of Dentons Rodyk & Davidson LLP. He is a commercial litigator and international arbitration counsel. He was appointed as Senior Counsel in 2003 and has been named in all the major legal publications as an expert in arbitration, construction law and litigation. Mr Jeyaretnam was president of The Law Society of Singapore from January 2004 to December 2007 and was the founding chairman of the Society of Construction Law, Singapore. He is currently Chairman of Maxwell Chambers, the world’s first integrated dispute resolution venue. Mr Jeyaretnam is on the Public Service Commission, the constitutional body that oversees the civil service in Singapore. He is also on the Presidential Council for Minority Rights, which advises the President of Singapore under the equality provisions of the Constitution of Singapore. Mr Jeyaretnam graduated from Cambridge University and held a visiting Fulbright Fellowship at Harvard Law School. Mr KU Moon Lun joined the Group in 2015 and has more than 35 years of experience in the real estate industry. Currently, he is an independent non-executive director of Lai Fung Holdings and Kerry Properties Limited. He is also a member of the Hospital Governing Committee of Queen Elizabeth Hospital, Hong Kong Hospital Authority, and a Fellow of the Hong Kong Institute of Surveyors. Mr Ku was an executive director of Davis Langdon & Seah International (“DLSI”), a property consultant firm, until the end of 2005 where he was responsible for formulating the policies and steering the direction of the DLSI group of companies. He was also the chairman of the board of directors of Davis Langdon & Seah Hong Kong Limited from 1995 to 2004. Mr Ku was previously the chairman of Premas Hong Kong Limited, a facilities management company, from 2000 to 2002 and icFox International, an information technology company, from 2000 to 2003. Mr Ku was an independent non-executive director of Ascott Residence Trust Management Limited from 2006 to 2016. Ms NEO Gim Huay joined the Group in 2015. She is currently Managing Director, Enterprise Development Group and Managing Director, Sustainability of Temasek International Pte Ltd. 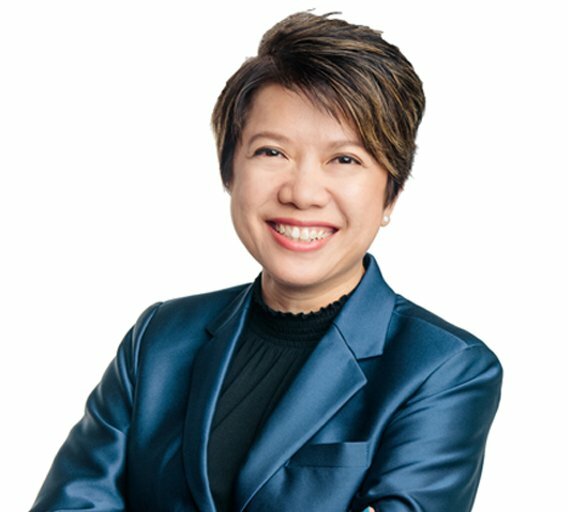 Prior to joining Temasek, Ms Neo was a Management Consultant with McKinsey & Co in the US and Africa, advising clients on strategy and operations in the banking, oil & gas as well as entertainment and technology sectors. Before McKinsey, Ms Neo was in the Administrative Service of the Singapore Government, overseeing Governance and Investment as well as Trade Negotiations in the Finance and Trade ministries respectively. Ms Neo is also on the Boards of Mandai Park Holdings; Intellectual Property Office of Singapore and the National Library Board. She was selected as an Eisenhower Fellow in 2015. Ms Neo holds a MBA from Stanford University, graduating as an Arjay Miller Scholar. She also has a Masters in Engineering (Distinction) and Bachelor of Arts (First Class) from Cambridge University. Mr TAN Gee Paw was appointed Chairman of the PUB, Singapore’s national water agency on 1 April 2001 until his retirement on 31 March 2017. Mr Tan is a member of a number of government committees. He is the Chairman of Nominating Committee, Lee Kuan Yew Water Prize, Singapore International Water Week. He is the Adjunct Professor at the Lee Kuan Yew School of Public Policy and Dean’s Office, Faculty of Engineering, National University of Singapore. 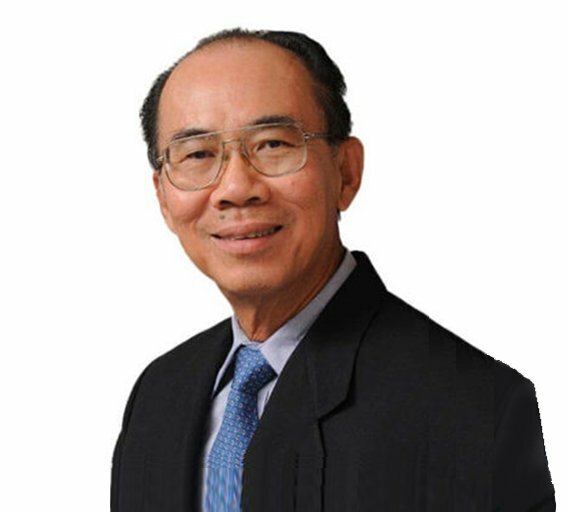 Previous appointments held by Mr Tan were Principal of Ngee Ann Polytechnic, and Permanent Secretary of the then Ministry of the Environment. He is a Board member of Changi Airport Group and a Director of Surbana Jurong Private Limited. 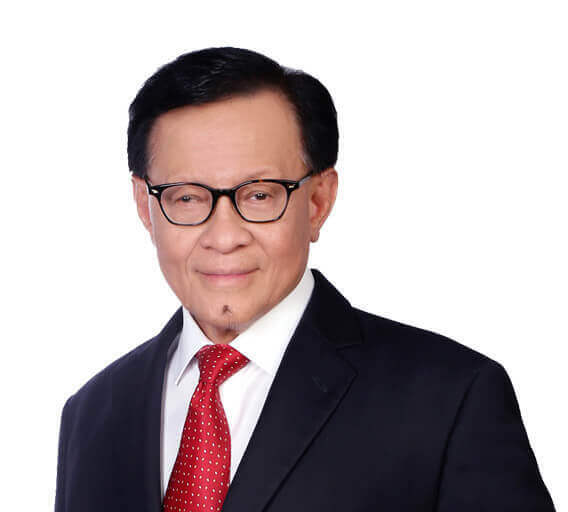 Mr Tan graduated with First Class Honours in Bachelor of Engineering (Civil) from the University of Malaya in 1967, and a Master of Science in Systems Engineering from the University of Singapore in 1971. He was conferred an Honorary Degree of Doctor of Science from the University of Westminster, UK in 1993; and an Honorary Doctorate in Engineering from Sheffield University, UK in 1995. In 2013, he was conferred an Honorary Degree of Doctor of Engineering by the Nanyang Technological University. Mr Tan received the Public Administration Medal (Silver) in 1978 and a Special Award (Gold Medal) for Clean River Commemoration in 1987. He also received the Medal of Commendation at the NTUC May Day Award in 2005, the President’s Award for the Environment in 2007 and the President’s Science and Technology Medal in 2015. Mr Tan was conferred the Meritorious Service Medal in 2001 for his work as Permanent Secretary of the then Ministry of the Environment and the Distinguished Service Order in 2010 for his work as Chairman of PUB. In 2011, Mr Tan was conferred the Distinguished Engineering Alumni Award by the National University of Singapore; and the NUS Society Distinguished and Outstanding Member Award by National University of Singapore in 2014. He was elected an Honorary Fellow of the Institution of Engineers, Singapore and awarded the Lifetime Engineering Achievement Award in 2015. Mr Tan was also elected as a Fellow of the Academy of Engineering, Singapore in 2012. 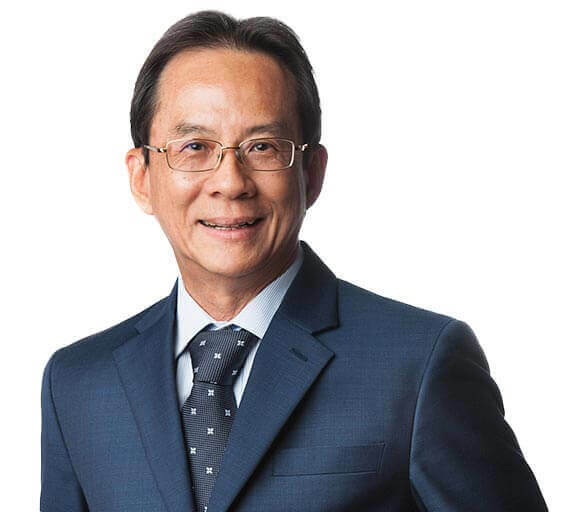 Mr Tan is the Special Advisor to Chairman, PUB, as well as the Special Advisor to Land Transport Authority (LTA), and a member of the Centre for Liveable Cities (CLC) Panel of Distinguished Advisors.015. Prof. TAN Kong Yam joined the Group in 2015 and is presently Professor of Economics at the Nanyang Technological University in Singapore. Prior to joining NUS, Prof. Tan worked at the Hoover Institution at Stanford University, World Bank, the Monetary Authority of Singapore, and was the Director of Research at the Ministry of Trade and Industry in Singapore. From June 2002 to June 2005, Prof. Tan was a senior economist at the World Bank office in Beijing where he worked on issues of macro stabilisation, integration of the fragmented domestic market, banking reform, international trade and investment as well as regional inequality. In 2004, he was a member of the World Bank expert group on the eleventh five year plan (2006-2010) for the State Council in China. The expert group provided analysis and policy recommendations on urbanisation, regional inequality, innovation policy, energy and water policy as well as strategy on banking reform to the Chinese government. Prior to that, he was the chief economist of the Singapore government at the Ministry of Trade and Industry and Head, Department of Business Policy, Faculty of Business Administration at NUS. Prof. Tan is a graduate of Princeton (1975-79, class of 1931 scholar, Paul Volcker Thesis prize) and Stanford University (1980-83). 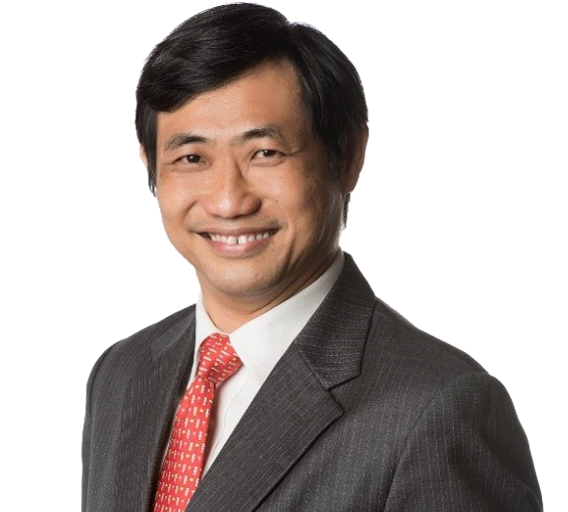 Mr TEO Eng Cheong joined the Group as CEO (International) on 1 January 2016. He spearheads the Group’s efforts to expand its international footprint in Singapore, Southeast Asia and North Asia. 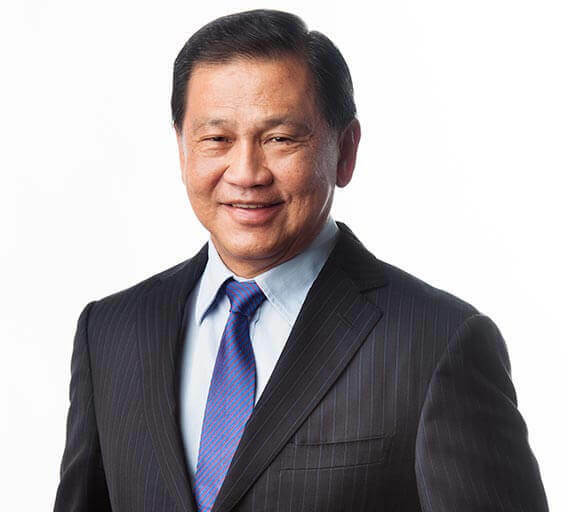 Mr Teo also serves as a Director on SMEC’s Board, is a council member of NUS Business School’s China Business Centre and a council member of the Singapore Manufacturing Federation. Before joining the private sector, Mr Teo was a senior government official with the Singapore Administrative Service. From 2011 to 2015, he was CEO of International Enterprise Singapore (“IE Singapore”), the lead government agency responsible for spearheading the overseas growth of Singapore-based companies through trade and investments. Under his leadership, IE Singapore established itself as the go-to agency for Singapore companies interested in various markets such as China, India and Myanmar. Prior to this, Mr Teo held several leadership positions in the Singapore Government, including as CEO of the Competition Commission of Singapore from 2008 to 2010 and Director-General of Singapore Customs from 2004 to 2007. In his earlier years, Mr Teo was involved in investment promotion in the Economic Development Board, financial sector development in the Monetary Authority of Singapore, and government policy formulation in the then Ministry of Community Development, Youth and Sports. He also spent two years in Suzhou working on the China-Singapore Suzhou Industrial Park development. For his service with the government, he was awarded the Singapore National Day Medal for Public Administration (Silver) in 2006. Previously, Mr Teo also sat on the boards of IE Singapore, Singapore Cooperation Enterprise, Agri-Food & Veterinary Authority, Ascendas Funds Management (S) Limited, the ASEAN Infrastructure Fund, Council for Private Education, Health Promotion Board, and Singapore Sports Council. He has also served on the Advisory Board of Singapore Management University’s Lee Kong Chian School of Business. 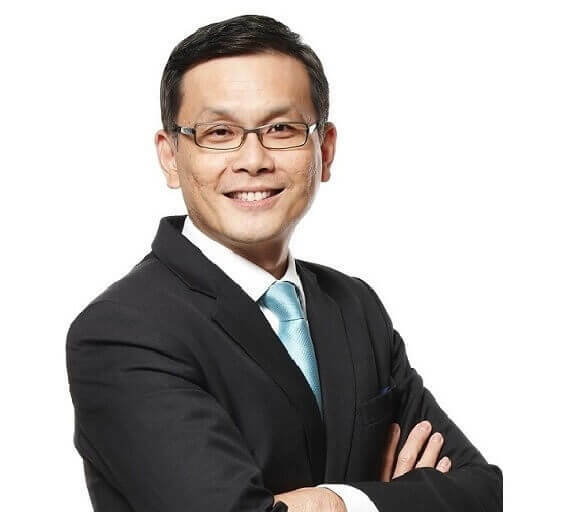 Mr Teo holds a Bachelor of Science (Economics) from NUS and a Master of Science (Economics) from London School of Economics and Political Science. He is also a Lien Fellow with the Lien Ying Chow Legacy Fellowship. Mr Hari POOLOGASUNDRAM joined the Group in 2016 and is the CEO International of the Company. In this role, he leads the Group’s global presence in Africa, Americas, Australia and New Zealand (“ANZ”), South Asia and the Middle East. Mr Poologasundram is also the CEO of SMEC, a multi-disciplinary infrastructure consultancy business. He has been an integral member of SMEC’s executive and leadership team since 1999. In his previous role, Mr Poologasundram was appointed CEO of SMEC’s ANZ Division after serving as COO ANZ since 2012. 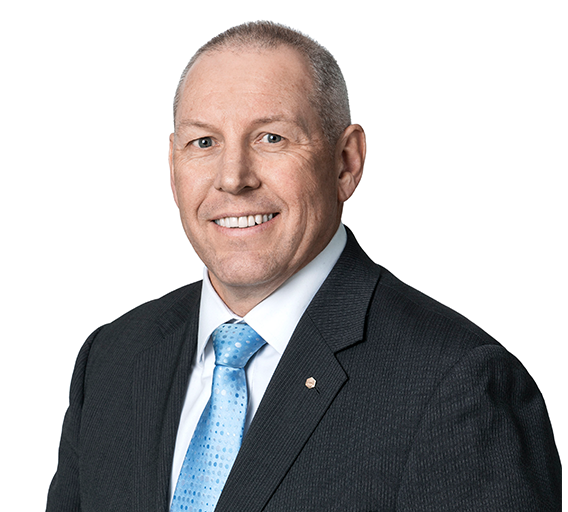 Under his guidance and leadership, he has successfully driven the overall performance and strategic growth of the ANZ operations, helping it mature and grow into a strong performing division. Mr Poologasundram has over 30 years of experience in planning, design and management of large infrastructure projects and over 18 years of operational management experience. His area of expertise is in planning, design and management of large engineering infrastructure projects. Mr Poologasundram holds a Bachelor of Science (Civil Engineering) and a Master’s of Science (Civil Engineering) from City University, London. Mr CHONG Lit Cheong joined the Group in 2017 and is the Group Chief Corporate Officer of the Company. He provides oversight across the group corporate services functions including human resources, corporate administration, communications, branding, technology, innovations, legal and company secretariat. In addition, he oversees some of the Group initiatives including SJ Academy, Procurement and SJ Campus, as well as the Group’s growth in the Japanese market. Mr Chong currently holds directorships in Boustead Projects Limited, an SGX-listed company; AETOS Holdings Private Limited; ECCL Singapore Pte. Ltd; and Surbana Jurong Capital (Holdings) Pte. Ltd.
Mr Chong brings with him a wealth of experience, having served as Senior Advisor, Strategic Projects of CapitaLand Limited. Prior to this, he held several senior appointments in the CapitaLand Group as CEO CapitaLand Commercial Limited, CEO Regional Investments and Deputy Group Chief Corporate Officer. Before joining CapitaLand in 2011, Mr Chong was CEO of International Enterprise Singapore, an agency under Singapore’s Ministry of Trade and Industry which promotes the overseas growth of Singapore-based enterprises and international trade. From 2001 to 2006, he was the CEO of JTC Corporation, the government agency developing industrial estates and specialised parks. From 1998 to 2000, he was Managing Director of the National Science & Technology Board (now called A*STAR), the lead agency promoting science and technology infrastructure in Singapore. He served in the Economic Development Board from 1986 where he held several key appointments, including a posting to China as Deputy CEO of China Singapore Suzhou Development Co Ltd, the master developer of Suzhou Industrial Park. For his service with the government, Mr Chong was awarded the Public Service Medal (Gold) in 2003. Mr Chong began his career in the Ministry of Defence. He joined France-based Schlumberger Corp in 1984 and worked in Italy as a Chief Field Engineer in Well Testing and Electronic Wireline Services. Mr Chong is a Mombusho (Colombo Plan) Scholar and holds a Bachelor of Engineering (Electronic) from the University of Tokyo. He completed an Advanced Management Programme at INSEAD in France in 1994 and the Tsinghua Executive Program in Shanghai, China, in 2004. Mr SEAH Choo Meng joined the Group in 2017. He is the Senior Advisor in Group CEO’s Office, and the Group Chief Compliance Officer. He is responsible for ensuring that the Group’s policies and procedures are compliant, in addition to other supervisory and oversight responsibilities. Mr Seah is also the Chairman of Threesixty Cost Management Pte. Ltd. and Threesixty Contract Advisory Pte. Ltd., both of which were formed under the Group. The two entities will oversee the business thrust and development of Quantity Surveying and Contract Advisory services in all sectors both locally and internationally. Mr Seah oversees the development of project management services including the development of project and construction management, and programme management expertise. He will also assist Group CEO in charting future expansion plans for the Group’s multi-disciplinary services. Mr Seah currently sits on the Board of public-listed Mapletree Industrial Trust Management and is a Member of its Audit & Risk Committee. He is also on the Board of Ren Ci Hospital and is Chairman of its Building Committee. Mr Seah also holds positions in various other organisations, including as Chairman of the Programme Advisory Committee of SIM University’s Building and Project Management Programme, member of the School Advisory Panel of the School of Science and Technology, Singapore, panel member of the Strata Titles Board, member of the Construction Adjudicator Accreditation Committee, the Professional Conduct Panel, Senior Adjudicator at the Singapore Mediation Centre and member of the Inquiry Panel of the Law Society of Singapore. 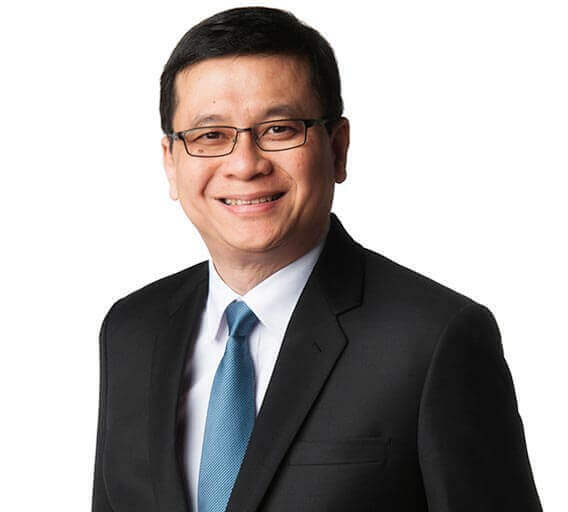 Mr Seah joins the Group with a varied background after having served as Chairman and Director of Langdon & Seah Singapore Pte Ltd, and Arcadis Project Management Pte Ltd.
Mr Andy ATKIN joined the Group in 2017. Mr Atkin is the Group Chief Financial Officer where he leads the global Group Finance, Tax and Treasury departments and is responsible for managing the Company’s financial consolidation, reporting, budgeting, forecasting and strategy. In 2017, Mr Atkin relocated to Singapore where he took on the appointment of Group Financial Controller. As Group Financial Controller, Mr Atkin played a key role in supporting and driving the Company’s growth agenda and strategy as well as the integration of the SMEC business. Mr Atkin is a seasoned Finance executive with a proven track record and has extensive experience managing international teams and operations. He has over 20 years’ experience in Chartered Accounting, Professional Business Services, Financial Assurance, Accounting and Governance, Controls and Processes, and Acquisitions and Disposals. In his previous role as SMEC Holdings Limited’s General Manager Finance and Acting CFO, Mr Atkin played an instrumental role in maintaining financial discipline across the entities and assisted operations to achieve their financial targets. Mr Atkin also held positions in PricewaterhouseCoopers in Melbourne and Newcastle-Upon-Tyne, United Kingdom, where he was responsible for managing client portfolios across industries such as retail, manufacturing, automotive, housing development, construction and transport. Mr Atkin holds a Bachelor of Science Degree in Mathematics and Statistics from the University of Newcastle-Upon-Tyne, United Kingdom. He is also a Member of Institute of Chartered Accountants in Australia and Institute of Chartered Accountants in England and Wales. 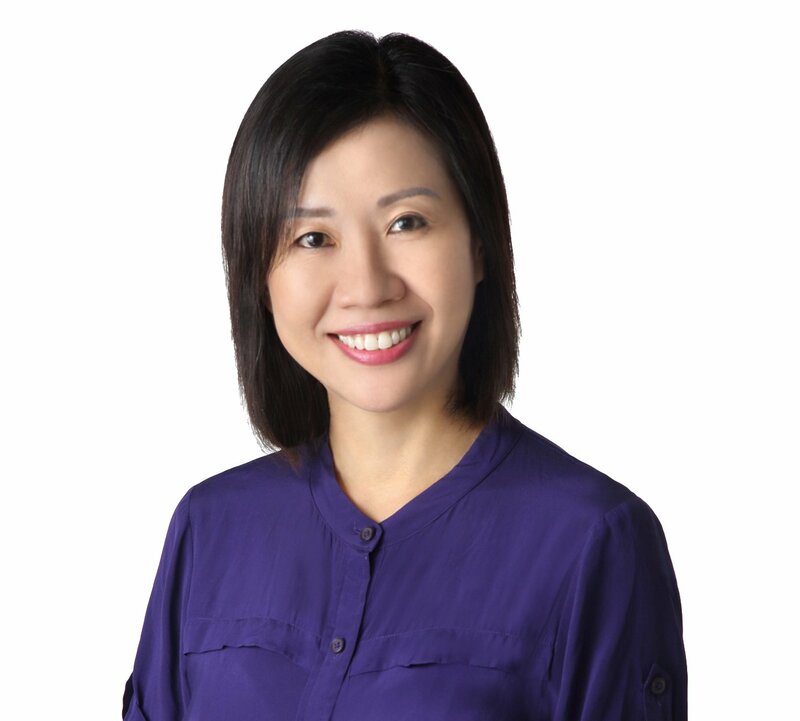 Ms Carmen WEE joined the Group in 2019 and is the Group Chief Human Resource Officer of the Company. She is responsible for leading and formulating the human resource strategy for the company. Ms Wee is a seasoned and passionate business leader providing human capital insight and counsel to business executives. She is a trusted business partner to C-level stakeholders and has more than 20 years of experience in partnering businesses to drive growth, change and cultural transformation. She brings with her an established track record of working with organisations to deploy innovative HR strategies in employer branding, talent management and organisation development to build a strong and motivated workforce. Ms Wee’s experience spans across varied industries such as FMCG, Telco and Technology companies such as SAP, Tellabs & Schneider Electric where she held roles with global HR leadership responsibilities. She was conferred the Pioneer Master level HR certification by Singapore’s Institute of Human Resource Professionals’ Board, in recognition of her contributions to the HR industry. Ms Wee is also a board member of the Republic Polytechnic’s School of Business. She is a frequent speaker at conferences and is passionate about building the next generation of HR leaders. Ms Wee graduated from the National University of Singapore with a degree in History and Social Work. She also possesses additional professional qualifications in HR from the Singapore Institute of Management. Ms Eva HO is Group Chief Communications & Branding Officer at Surbana Jurong. She is responsible for driving effective branding and communications strategies to further the business growth and development of the Surbana Jurong Group. She leads a dedicated team in Singapore and provides oversight to regional teams who manage all aspects of corporate and marketing communications with the aim of sustaining a strong profile of the Group among stakeholders. 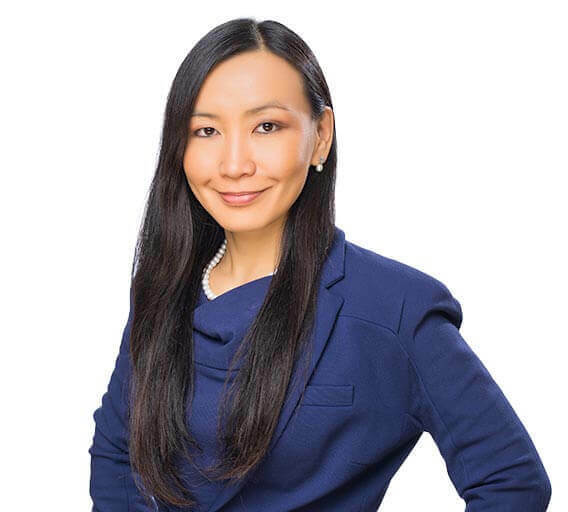 Ms Ho is an established communications expert and leader with close to 30 years of experience providing strategic communications counsel in a wide range of industries. Prior to joining Surbana Jurong, Ms Ho was Group Director, Communications of National University Health System. At National University Health System, she led integration communications efforts across 12 institutions when the public healthcare cluster merged with Jurong Health Services. She also held the positions of Deputy General Manager, Group Corporate Communications at Keppel Corporation; Communications Manager at ExxonMobil Asia Pacific and Director, Corporate Communications at Temasek Holdings. As the first communications professional to join Temasek Holdings, Ms Ho established and grew the communications function of the investment company. During her tenure at Temasek, she raised the profile of Temasek through proactive communications with the Singapore, regional and global media. Ms Ho also has a wealth of experience in helping organisations with managing issues and communicating effectively in crises. Mr Ian VAN DYK joined the Group in 2016 and is the Company’s Group Chief Technology Officer (GCTO). 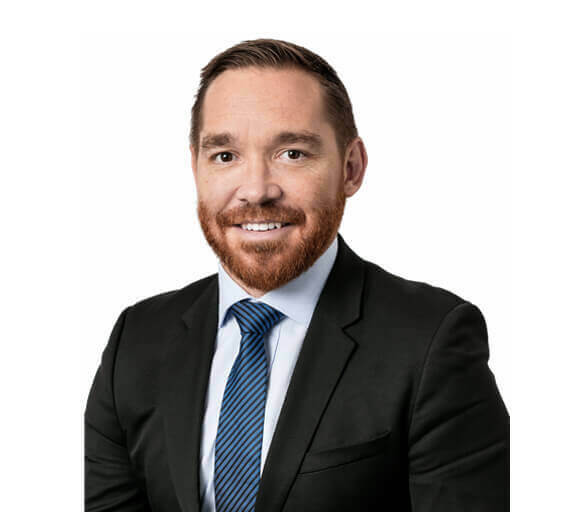 Mr Van Dyk oversees the Group Technology Corporate Service, which includes ICT Infrastructure, IT Shared Services and Business Management Systems, whilst guiding the Group’s technology strategy and operations. A technology leader known for defining the requisite strategic vision to achieve business goals, Mr Van Dyk offers a blend of executive acumen, global team-building, and information technology solution delivery aligned with strong return on investment and operational improvement. In his most recent role at SMEC. as Director of ICT, Mr Van Dyk built a responsive information technology organization and consistently delivered results by aligning technology initiatives with business goals, achieving substantial improvements to service delivery, standardization, and business systems performance. Mr Van Dyk brings with him a wealth of experience, having served as Chief Information Officer for VelaVKE Engineers, and having previously held commercial and management leadership positions in Bentley Systems and Graphic Engineering Solutions & Services. Mr Van Dyk holds an MBA from the Graduate School of Business, University of Cape Town, and a BSc. (Hons) Information Systems degree from the University of South Africa. Ms Ethel YEO is the Group Director, Legal and Company Secretary of the Surbana Jurong Group of companies. Ethel oversees the Group’s Legal and Company Secretariat matters and provides strategic legal advice to the management of the Surbana Jurong Group on key projects, and on corporate and legal initiatives globally. Ms Yeo brings with her more than 15 years of litigation and corporate legal expertise. She began her career as a law enforcement Superintendent with the Customs and Excise Department (Ministry of Finance). 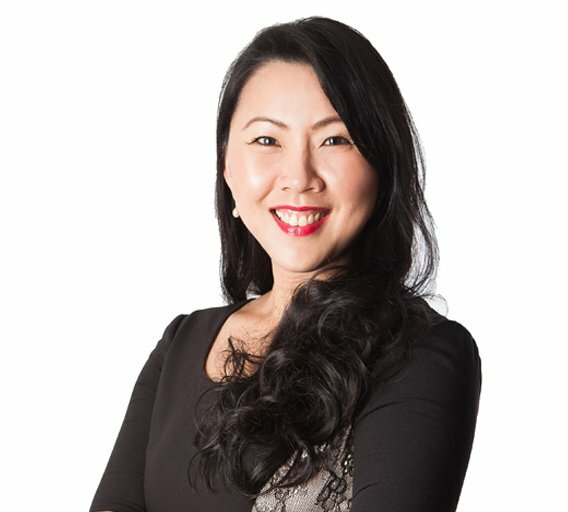 Ms Yeo joined Allen and Gledhill LLP and then WongPartnership LLP as a Partner, where she specialised in Corporate Real Estate work, involving principally REIT listing related matters, real estate financing, mergers and acquisitions, and divestments. Prior to joining Surbana Jurong, Ms Yeo was a Senior Legal Counsel with Lendlease Asia, and oversaw key transactions in their Singapore and Japan offices. She principally managed and provided legal advice on Lendlease's first mixed-use development in Singapore known as the Paya Lebar Quarter as well as Lendlease Japan's telco tower business. Ms Yeo holds a Bachelor of Social Science (Sociology and Japanese Studies) (Honours) and a Bachelor of Law from the National University of Singapore. She was admitted to the Singapore Bar in 2004. 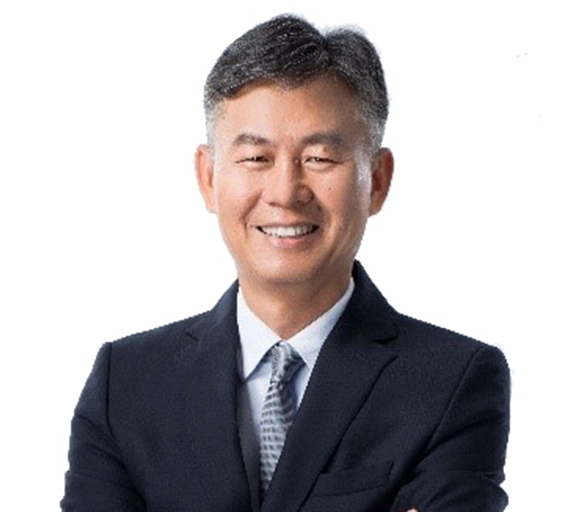 Mr YEO Choon Chong joined the Group in 2016 and is CEO, Singapore Divison and concurrently Group Managing Director of KTP. A veteran and qualified engineer with close to 30 years of experience in both domestic and international project management, infrastructure master planning and the architectural/engineering consultancy business, Mr Yeo manages the Urban and Infrastructure sub-divisions and KTP Consultants. Mr Yeo is a keen advocate in setting industry standards in innovative design, sustainability and buildability. He sits in several Singapore’s Building and Construction Authority, and professional committees in promoting these industry initiatives. During the Middle East construction boom in 2011, Mr Yeo was involved in the construction of more than 25 million square feet of developments in the span of six years. The notable mega projects include The Dubai Mall, Festival City, Capital Plaza, Pearl Qatar. Mr Yeo has also received numerous Buildability and DESEA (Design & Engineering Safety Excellence Award) awards for City Square Residences, Jurong Point, and Metropolis amongst others. This prestigious award recognises engineers for their ingenious design processes, and solutions in overcoming project challenges to ensure safety in design, construction and maintenance of building projects. Mr LOW Cher Ek joined the Group when it was formed in 2015 and was part of the management of Surbana prior to the merger or Surbana and JIH. 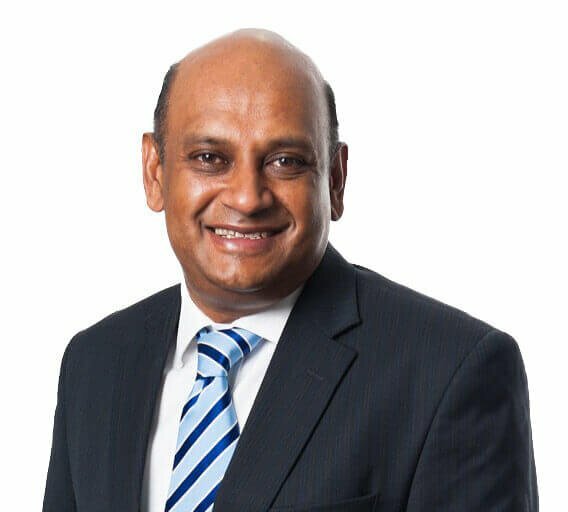 He is currently the CEO and Global Lead, Township and is responsible for managing and growing SJ’s Township business in Singapore and globally. Mr Low has vast experience in the planning, designing and implementing of such real estate. He leads a team of experienced professionals in the management and growth of this business in Singapore as well as overseas. The Group has designed and built more than one million homes and was involved in the planning of 26 townships in Singapore, and Mr Low is responsible for continuously strengthening the Group as the key consultant of Singapore’s internationally acclaimed public housing programme. He has also led the export of the Group’s affordable housing expertise to China, Brunei, Myanmar, Indonesia, and India. He also has keen interest in design technology and is involved in the adoption of building information modelling technology as well as in research and development projects. Mr Low is currently a member of Singapore Institute of Architects, the Royal Institute of British Architects, and the Building Construction Authority’s Academy Advisory Panel. Mr Low is an appointed Industry Ambassador for the Building Construction Authority, and an AUDE Industry Partner. He also co-chairs the Integrated Digital Delivery Workgroup under Singapore’s Construction Transformation Roadmap initiative. Prior to this, Mr Low was the Company’s Director of Architecture and Managing Director of the building consultancy business, overseeing the company’s consultancy practice and four key technical services (architecture, mechanical and electrical engineering, civil and structural engineering, and quantity surveying) both locally and overseas. Before joining the Group, Mr Low was with HDB and held senior positions in planning, design, and construction. He was also involved in policy planning and implementation of HDB’s estate upgrading programmes. Mr Low holds an honours degree in Architecture from NUS, and is registered with the Singapore Board of Architects. Er. Loh Yan Hui is the CEO and Global Lead, Aviation at Surbana Jurong. He is responsible for developing the aviation business globally, including delivering on Surbana Jurong’s Changi Airport Terminal 5 related projects. He is the Consortium Lead Representative of the Changi T5 Master Building Consultancy Engineering project and the Changi T5 Master Civil Consultancy project. He was also appointed to the SMEC Holdings Board since 2016 following the acquisition of SMEC by Surbana Jurong. 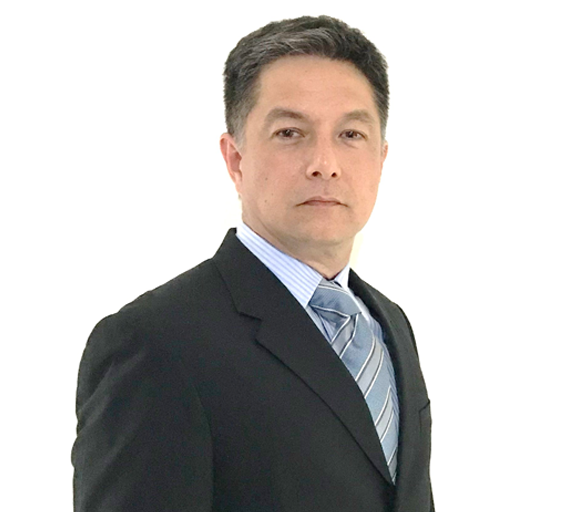 Previously as Surbana Jurong’s Deputy CEO, Infrastructure, he directed and managed the operational activities of the Infrastructure business within Singapore and provides technical resources to the Group’s overseas divisions to support infrastructure project procurement and deliveries. Er. 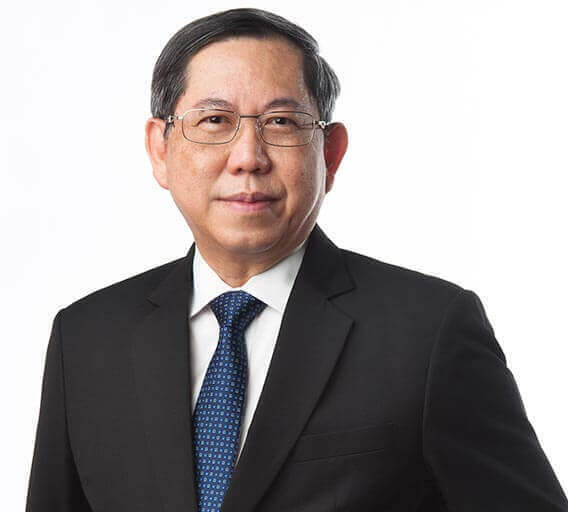 Loh has more than 38 years’ experience in the infrastructure industry and has been a registered Professional Engineer (Singapore) since 1990. He led a multi-disciplinary team of more than 600 staff in Surbana Jurong. Some of his key projects were the Waterway@Punggol, Singapore’s first man-made major waterway that runs through the Punggol Eco-Town, the Pulau Tekong reclamation project, the Pasir Panjang Terminal Phases 3 & 4 reclamation project, Tuas Terminal Phases 1 & 2 reclamation projects, etc. He has contributed in R&D projects and published technical papers in international conferences and journals. Er. 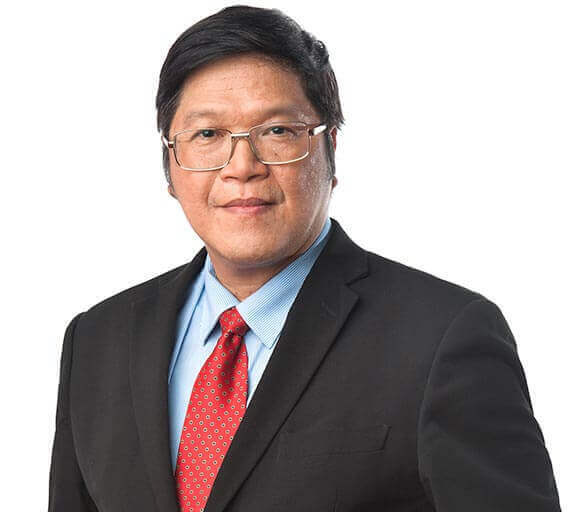 Loh currently serves as the Deputy Chairman of the Department Consultative Committee of the National University of Singapore’s Department of Civil & Environmental Engineering. Er. Loh served as a member of the Singapore Team which played an important role in the resolution of the Pulau Tekong reclamation bilateral dispute with Malaysia, and the Technical Evaluation Panel for the 1st Sustainable Urban Living call for proposals under Singapore’s Ministry of National Development (MND) Research Fund. Er. Loh was also a Reviewer for research proposals for the Marine Science Research & Development Programme (MSRDP). Er. Loh was awarded the inaugural MND Minister’s (Team) Award in 2006 for contribution as a member of the Singapore’s “Settlement Agreement” team. He was also awarded the Ministry of Transport Minister’s Innovation Award (Distinguished Award) in 2008 and 2011, and Ministry of Transport Minister’s Innovation Award (Merit Award) in 2010 and 2011. He was a member of Surbana Jurong’s teams that won the Top 50 Engineering Feats @ IES-SG50 Award 2016 for My Waterway @ Punggol and Pasir Panjang Terminal Phases 3 & 4 Development. Dr Tom MARSHALL joined the Group in 2016 and leads the Africa Division and leads the Africa Division within the Company and SMEC. In his current role, Dr Marshall is responsible for providing leadership and strategic direction to the Group’s operations throughout Africa. He has 37 years’ experience in civil engineering design, construction supervision and management of multi-disciplinary engineering teams throughout Southern Africa. He also has extensive experience in rail and road infrastructure including tunnelling, urban development and water supply schemes. Dr Marshall joined SMEC in 1982. Dr Marshall holds a Bachelor of Engineering (Civil) and a Master of Engineering (Geotechnics and Transportation) from the University of Stellenbosch, South Africa and a Doctor of Engineering (Engineering Management) from the University of Johannesburg, South Africa. Mr George LASEK joined the Group in 2016 and leads the Group’s operations in the Americas. As Chief Operating Officer (COO), Americas Division, Mr Lasek drives growth in markets in North, Central and Latin America. Mr Lasek joined SMEC in 2011 and was appointed COO, Americas in 2017 after serving as COO, South Asia Middle East since 2015. Prior to this, he held the role of Managing Director, SMEC India and Regional Manager, India and Bhutan. 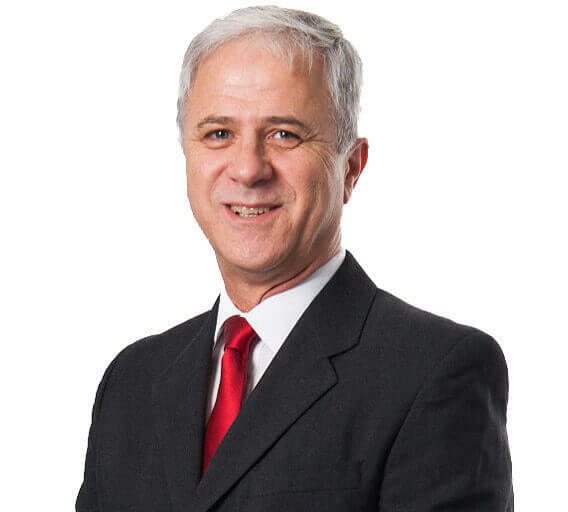 Mr Lasek has over 30 years of experience in both the private and public sectors and has proven ability to operate effectively at both operational and strategic levels within large, complex business environments. Mr Lasek holds a Bachelor of Engineering from the University of Wollongong. 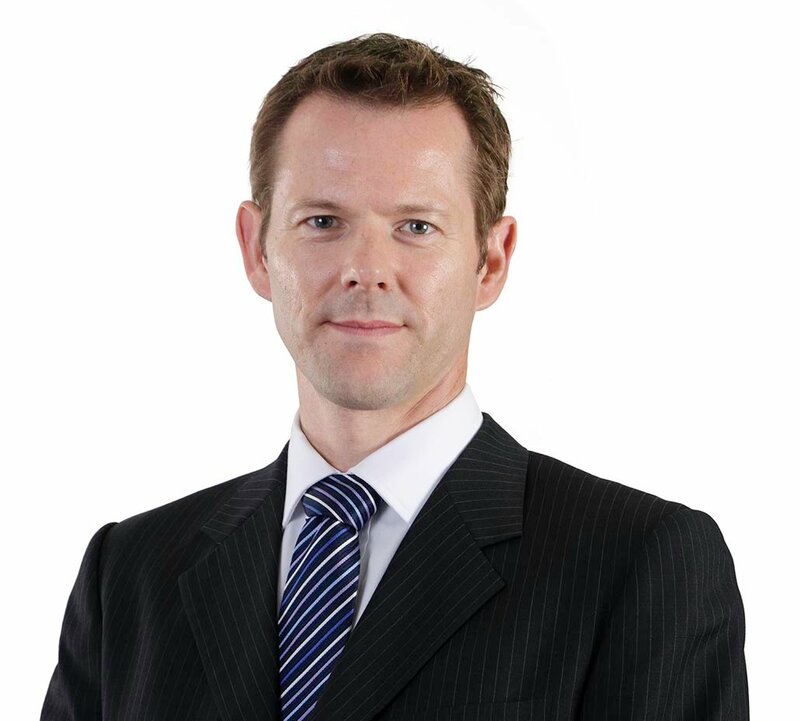 Mr James PHILLIS joined SMEC in 2014 and was appointed Chief Executive Officer, ANZ SMEC in 2018 after serving as Chief Operation Officer ANZ since 2017. Under his guidance, Mr Phillis has successfully led the strategic growth and maturity of SMEC’s operations in Australia and New Zealand. Mr Phillis is an engineer with over 30 years’ experience leading international engineering consultancies with global operations. His experience covers multiple engineering fields including civil infrastructure, buildings, telecommunications, manufacturing, mining, oil & gas, environmental and process engineering. He holds a Bachelor of Engineering (Hons) from University of Sydney and a Master of Business Administration (MBA) from Southern Cross University. He is the New South Wales Division Chair for Consult Australia and also sits on the Sydney Division Committee for Engineers Australia. Mr Michael NG heads up the North Asia division of Surbana Jurong, Asia’s leading engineering, construction and infrastructure multi-disciplinary consultancy. He is responsible for the overall delivery, leadership and development of the division across Mainland China, Hong Kong, Macau, Taiwan and other parts of North Asia including Korea, Mongolia and Russia. He sits on the boards of five of Surbana Jurong’s subsidiaries and associated companies, including SMEC Asia Ltd, Sino-Sun Architects & Engineers and Arcplus SJ Digital Ltd.
Before Surbana Jurong, Mr Ng had spent the initial 20 years of his career in the Information and Communications Technology (ICT) industry with portfolios ranging from telecommunications, Managed Services, Smart City solutions to emerging technologies such as Machine to Machine (M2M) and The Internet of Things (IoT). Michael had held several senior appointments in SingTel Group and StarHub Ltd, heading business units for Managed Services, Global Enterprise Sales, Solution Sales, Enterprise Mobility, Partnership & Alliances, Product, Delivery and Operations. He had accumulated vast experience in managing global teams of diverse background and competencies in more than 20 countries. Mr Ng holds a Bachelor of Science (BSc)(Hons) from National University of Singapore. He also holds several technical design certifications in Network and Unified Communications from Avaya, Nortel and Cisco. Dr Uma MAHESWARAN joined the Group when it was formed in 2015 and was part of the management of JIH prior to the merger of Surbana and JIH. He is currently the Company’s Chief Operating Officer, South Asia and Middle East, a role he has held since 2016. He has also held the role of CEO and Managing Director for Surbana Jurong India since 2012. Dr Uma has more than 10 years of management experience across various organisations. Dr Uma leads sustainability as a core business value proposition across the Group. In his previous role, he also spearheaded the sustainable urban solutions division in the then Jurong Consultants. Dr Uma was the winner of the “Inaugural Young Green Building Individual award” and has served as the Nominated Industry Ambassador for sustainability by Singapore’s Building and Construction Authority. He holds a doctorate in building science and is a well-recognised professional in the field of sustainability across the region. Mr Jason WHITCOMBE joined the Group early 2018 and is the Company’s Group Director of Managed Services. In this role, Mr Whitcombe is responsible for overseeing the strategy, growth and operations of the Managed Services businesses - Asset Management, Smart City Solutions, Facilities Management and Security. 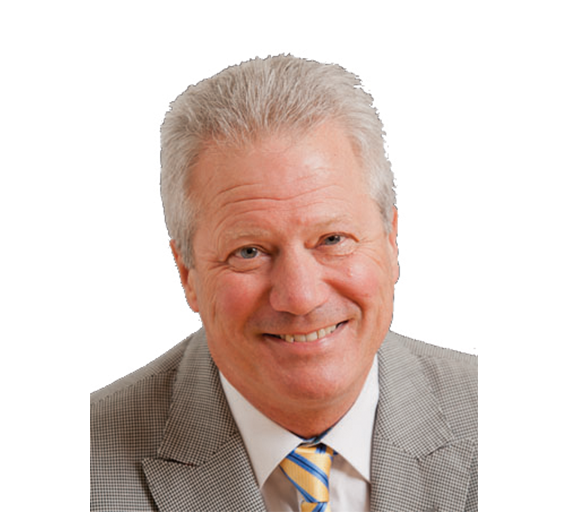 Mr Whitcombe is a seasoned executive with 30 years experience. 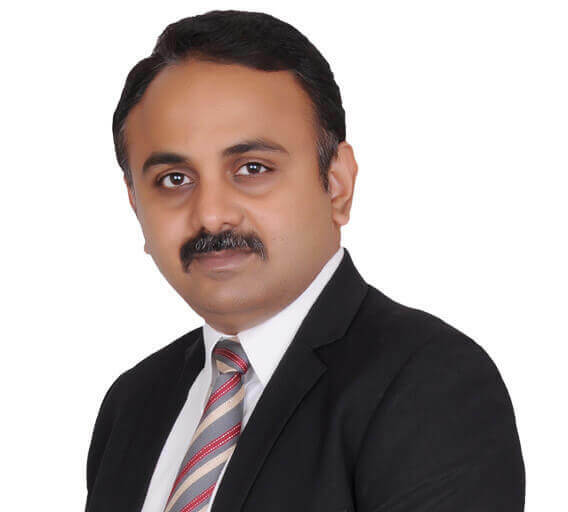 Over the last ten years, he has been responsible for leading and managing regional and international teams in market development, operations and account management. 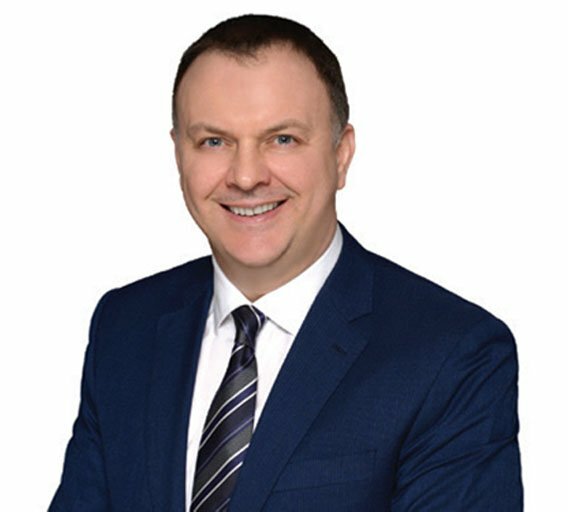 Most recently, Mr Whitcombe was Managing Director of a global leading real estate company for Asia Pacific and a member of its Global Management Team. With continual focus on the customer, Mr Whitcombe is constantly seeking new solutions to address client challenges and strongly believes that collaboration delivers the best results. By leveraging the multiple service offerings of Surbana Jurong he strives to deliver unique world class outcomes to our customers. He has extensive local and international experience having spent the last three decades residing in Hong Kong, Beijing, Shanghai and Singapore. Mr Whitcombe holds an Honours degree in Estate Management from University of East London. Mr Richard TAN joined Surbana Jurong from its formation in 2015. He is the Managing Director of SJ Defence Services, the defence arm of Surbana Jurong. He is a Board member of SJ Defence Services and its subsidiary, MMR Services. In his years in the design consultancy and construction industry with Jurong International, Mr Tan led two multi-disciplinary teams to the successful design and build completion of the Multi-Mission Range Complex and the Home Team Tactical Centre for the Ministries of Defence and Home Affairs respectively. Mr Tan brings on board his diverse experience from the sport industry and the military. He was the Director for Corporate Planning at the Ministry of Community Development, Youth and Sports where he was a key member in the delivery of the Singapore Youth Olympic Games. The Games were delivered within an extraordinary tight timeline, working with the IOC, the 205 National Olympic Committees and Olympic Partner sponsors in a whole of government effort. Mr Tan was also the Director of the Games Operations Centre overseeing the execution of the first Youth Olympic Games. Mr Tan served 21 years in the Singapore Armed Forces as an Infantry officer. He left the service after his Brigade Command, where he was part of the Army Leadership Team. Mr Tan had the rare privilege of commanding his Brigade in a 2-sided Brigade force-on-force full troop exercise involving the land, air and sea elements. His varied competencies and experience in the Army include crisis and operations management, doctrine development and training, programme management of significant infrastructure and weapons projects, organisational establishment and resource management, and military education and organisational learning. Mr Tan holds a Bachelor of Arts in Political Science and Philosophy from National University of Singapore, and a Masters in Instructional Design and Technology from Nanyang Technological University. 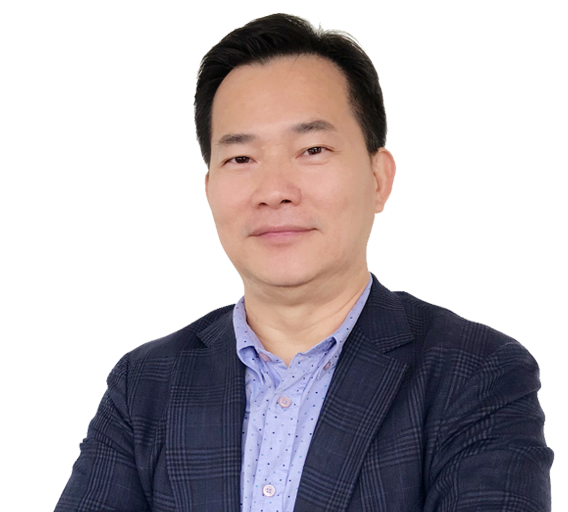 Mr Jeremy CHOY joined Surbana Jurong as Managing Director – Surbana Jurong (SJ) Capital in 2018. SJ Capital is the investment arm of SJ Group, which leverages the Group’s resources to source, invest, develop and manage projects across the entire value chain of the urbanisation, industrialisation and infrastructure domains. 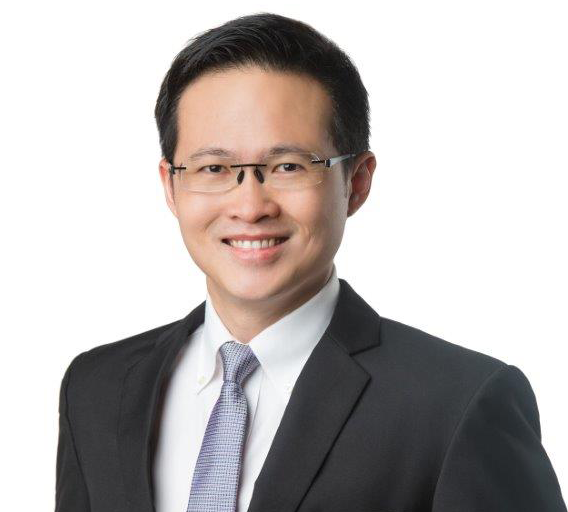 Mr Choy joined Surbana Jurong from BlackRock, where he was Head of Real Estate for Greater China and Head of Capital Transactions for South East Asia from 2013 to 2018. He also served as Head of Acquisitions, Asia Pacific from 2011 to 2013. Mr Choy's service with BlackRock dates back to 2006, including his years with MGPA, before it was acquired by BlackRock in 2013. In his twelve years with BlackRock and MGPA, Mr Choy served in several leadership roles and successfully executed transactions across the Asia Pacific region, including being the Project Director for the Asia Square development in Singapore. Mr Choy graduated with a Bachelor of Social Sciences (Honours) in Economics from the National University of Singapore in 2001. He has more than 18 years’ experience in the real estate sector and has worked and lived in Shanghai, Kuala Lumpur, Hong Kong and Singapore. 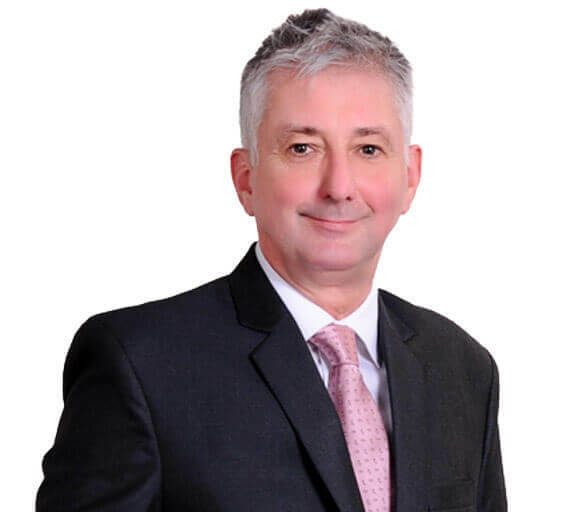 Mr Alfred FOX is the Chief Executive Officer (CEO) of AETOS Holdings Pte Ltd. He assumed this position on 16 April 2019. Before joining AETOS, Mr Fox was Director of SJ Defence Services, which is part of the Surbana Jurong Group. SJ Defence Services leverages the expertise of the Surbana Jurong Group to provide one-stop, comprehensive training solutions in design, delivery, management and logistics services to the defence sector, including homeland and civil defence. Prior to joining Surbana Jurong, Mr Fox was a Division Commander in the Singapore Armed Forces (SAF), responsible for maintaining a high level of operational readiness by building ready and capable units for the Army. During that time, he was also the Chairman of the 2018 Singapore National Day Parade Executive Committee (EXCO). Over the years, he has held various roles in Singapore’s Ministry of Defence and the Army. Between 2012 – 2016, Mr Fox was the Assistant Chief of General Staff (Personnel) for the Army and concurrent Non-Resident Defence Attache (NRDA) to Cambodia. As NRDA, he deepened the defence relations between the Royal Cambodian Armed Forces and the SAF. Mr Fox was also part of the founding team of the Future Systems Directorate (FSD) at Singapore’s Ministry of Defence, which looked at conceptualising warfighting concepts through close ops-tech integration. Deployed to Afghanistan in 2008, he was the first National Liaison Officer in Kabul and concurrently worked with NATO/ISAF, the Afghan National Army and the Pakistan Military to build border control centres along the Afghan-Pakistan border. Mr Fox is a recipient of the Public Service Administration Medal (Silver) Military, the NATO-ISAF Overseas Service Medal and the Long Service Medal (Military). He holds a B.A from the National University of Singapore and a Masters in Public Management from the Lee Kuan Yew School of Public Policy and Harvard School of Government. Mr Bill NANKIVELL is the CEO of B+H Architects, a leading global design solutions and consulting firm with a legacy of over 65 years of award-winning work. Since joining B+H in 1996 as a partner and appointed as CEO in 2006, Mr Nankivell has led the firm through unprecedented growth and transformation. 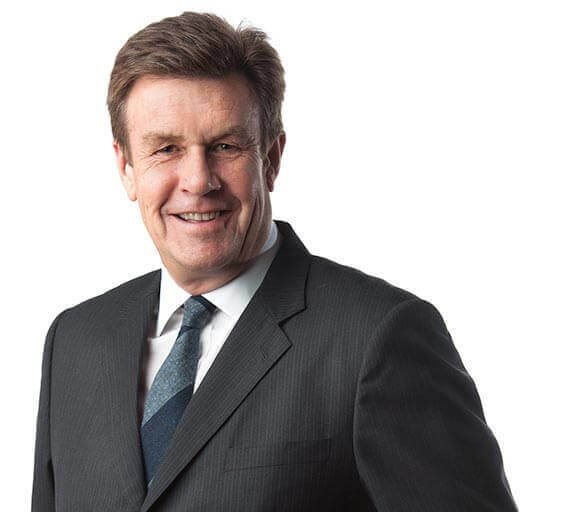 Mr Nankivell’s strategic vision has contributed to the firm’s expansion into new markets across Asia, the US and the Middle East and the diversification of its core service offerings to include an integrated array of services not traditionally associated with architecture and design practices. Today, B+H’s 450+ team members collaborate across ten studios in Toronto, Vancouver, Calgary, Seattle, Los Angeles, Dubai, Shanghai, Hong Kong, Singapore & Ho Chi Minh City, and its vehicles of design and solution creation include strategic consulting, architecture, planning, landscape, and interior design services. Mr Nankivell’s commitment to transforming spaces, communities, and economies extends to his leadership of B+H’s global talent, comprised of a diverse group of curious designers, place makers, strategists, storytellers, and creative human beings. B+H’s multigenerational and multicultural experts believe in embracing change and challenging the status quo to deliver resilient, healthy environments that make positive contributions to their communities and are characterized by vibrant human experiences. 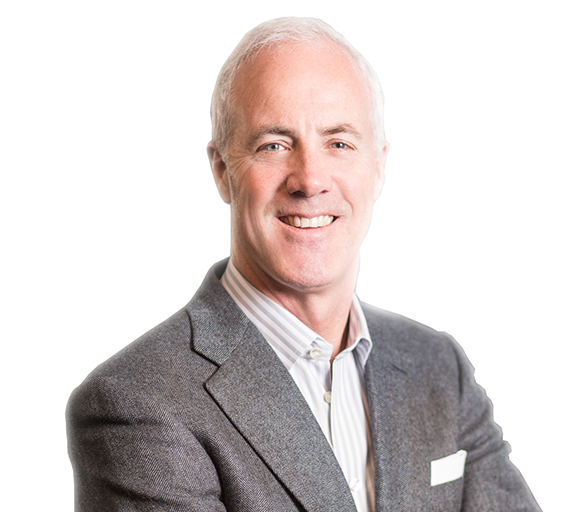 Mr Nankivell holds a Bachelor or Architecture from the University of Toronto and has over 30 years of experience specializing in pre-design (programming, feasibility studies, master planning) and new project development (public-private-partnership and design-build delivery methods). Mr Nankivell’s deep expertise in the healthcare and higher education sectors has resulted in their global growth and a remarkable portfolio of award-winning projects at B+H. Mr Robert BIRD is Founder and Executive Chairman of the Robert Bird Group. Since 1982, the company has grown from a small Brisbane based consultancy to a global practice with operations in Australia, United Kingdom, United Arab Emirates, South East Asia and India. As Chairman of Robert Bird Group, Mr Bird is responsible for the strategic leadership of the Group, leads and coaches the RBG team towards achieving its vision of “The Relentless Pursuit of Engineering Excellence’. With approximately 600 staff, the growth, success and versatility of the company is underpinned by Robert’s vision, ‘can do attitude’, relationship-based business, and philosophy of being a specialist Structural, Civil and Construction Engineering Consultancy in a complex, dynamic and commodity driven world. As the Managing Director of SAA, Mr YEO Siew Haip heads the Singapore practice and oversees the SAA group of affiliated companies in Southeast Asia and China. Taking over the helm of the leadership in 2008, Mr Yeo built and nurtured a new management team and led the firm’s growth into a leading architecture consultancy reputed for its design and service excellence; steering the firm through prestigious milestones including the successful delivery of Singapore’s Changi Airport Terminal 4, and winning the Woodlands Health Campus project, which is set to be the largest hospital in Southeast Asia when it is completed in 2022. Mr Yeo’s extensive local and international experience spans over three decades, delivering a variety of large and complex projects to fruition. As the Qualified Person for most of the firm’s large-scale projects, he leads multidisciplinary teams in delivering award-winning architecture across major industry sectors. Always leading from the front, Mr Yeo’s inspired leadership brings to each project his ability to take the ‘big picture’ view and fully comprehend the macro level complexities of design and project management – while being able to swiftly define critical aspects of a project right down to its intricate details – providing decisive guidance for project teams to focus their efforts in achieving excellence in design and service delivery. Mr Yeo’s decisive leadership has been instrumental in driving the firm’s growth through regional projects such as the Klang Valley Mass Rapid Transit Line in Kuala Lumpur, Malaysia; Tianjin Exchange mixed development in Tianjin, China, developed by GIC Singapore; and the Emperor Place mixed development in Tianjin, China, a UIC joint venture. Mr Yeo gives back to the community by spearheading SAA’s community engagement programmes such as scholarship programmes with the NUS Architecture Department, ITE and SUTD. 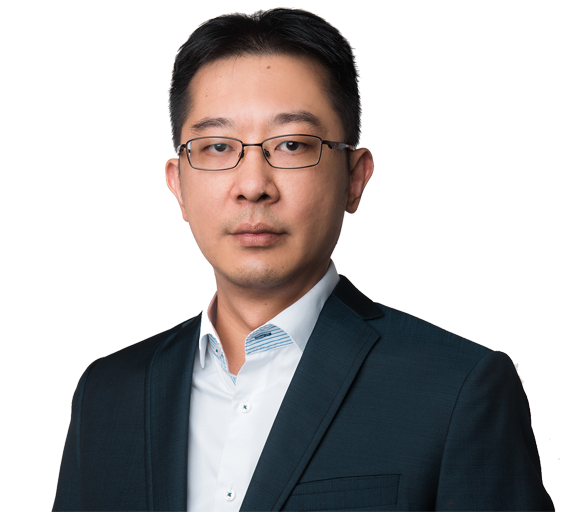 Mr XU Jian Wei is the General Manager of Sino-Sun Architects & Engineers Co. Ltd, a China based multi-disciplinary local design institute, and is a recognised and experienced professional with numerous achievements in the architectural design sector. Mr Xu graduated with a Bachelor’s degree in Architecture from China’s Tongji University and a Master’s degree in Architecture from Belgium’s KU Leuven. He also holds a Master of Business Administration from National University of Singapore Business School, Singapore. During his studies in Belgium, he worked part-time as an architect at DRIC Design. Mr Xu joined Sino-sun after his return to China, where he served as Deputy Chief Architect and General Manager. He was also invited to be the Director of China’s National Federation of Industry and Commerce Real Estate Chamber of Commerce, Vice-President of China Survey Design Industry Association, Vice-President of Guanghua City’s Industry Alliance. Mr Xu also won many national and provincial architectural design awards and had published several professional papers in national academic journals.